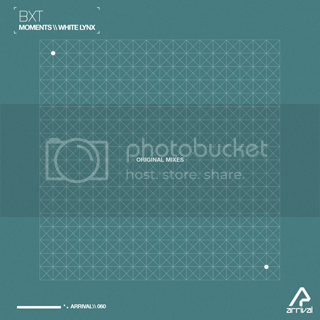 Recently featured on "Arrival 01: Destination United Kingdom", "Moments" from German artist BXT is now available as a full single release, including "White Lynx" as the B-side. The title cut quickly establishes a firm beat with pleasant background vocal stems. A truly energetic bassline enters the mix shortly after, and is surrounded by an array of intriguing pad layers and intermittent piano notes. The break introduces the memorable and quite energetic theme riff, which goes extremely well with the piano and bassline melodies. The B-side, "White Lynx", introduces a lush atmosphere, including numerous soothing melodies and intricate sound effects. The piano melody that emerges in the break fits brilliantly with the powerful theme riff.